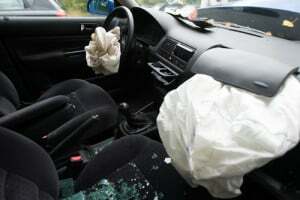 Airbag defects and failures can cause catastrophic, if not fatal, injuries. While defective airbags may be the result of using poor quality materials or cutting corners in the manufacturing process, they can also arise from installation flaws and failures to conduct the proper safety testing. At the Amaro Law Firm, our Houston lawyers are dedicated to helping those hurt by dangerous products, like defective airbags, seek the compensation and justice they deserve. Skilled at advocating our clients’ rights, our attorneys can help you determine whether a defective airbag contributed to your injuries – and if so, get you on the path to recovery. Have You or a Loved One Been Hurt by a Defective Airbag? During your FREE consultation, we will review your potential claim and advise you of your rights and legal options for recovery. Free virtual and mobile consultations are available to anyone who cannot visit our offices. Failure to fully inflate or to maintain inflation for the required period of time. Millions of airbags have been recalled in recent years due to various types of defects. Of these, the single biggest recall in U.S. history has been for defective Takata airbags, impacting about 42,000,000 million vehicles (from 15 different automakers). The problem with the recalled Takata airbags lies with the volatile chemicals used in the airbag inflators. Upon deployment, these chemicals can cause an explosion, shooting small fragments of plastic and metal at those within the vehicle. This airbag failure, which has been likened to firing shrapnel at vehicle occupants, has killed 11 people to date. Here is the latest information about the Takata airbag recall. You can check if your vehicle is subject to an airbag (or other) recall using this tool provided by the NHTSA. Auto repair technicians or shops. Punitive damages (In rare cases, punitive damages can be award to punish negligent parties). If you or a loved one has been harmed by a defective airbag (or any dangerous product), a Houston personal injury lawyer at the Amaro Law Firm is ready to explain your legal options and provide you with the highest quality representation moving forward. Tenacious, diligent and strategic, our attorneys can help you protect your rights, build the strongest possible claim and position it for the maximum recovery. Although we are aware that compensation can never erase permanent injuries and losses, we also know how critical compensation can be to providing survivors and families with the financial means to get treatment and restore their lives. Testimonials from our former clients, as well as our 5-star ratings on Google and Facebook, speak to our record of unparalleled service and success.